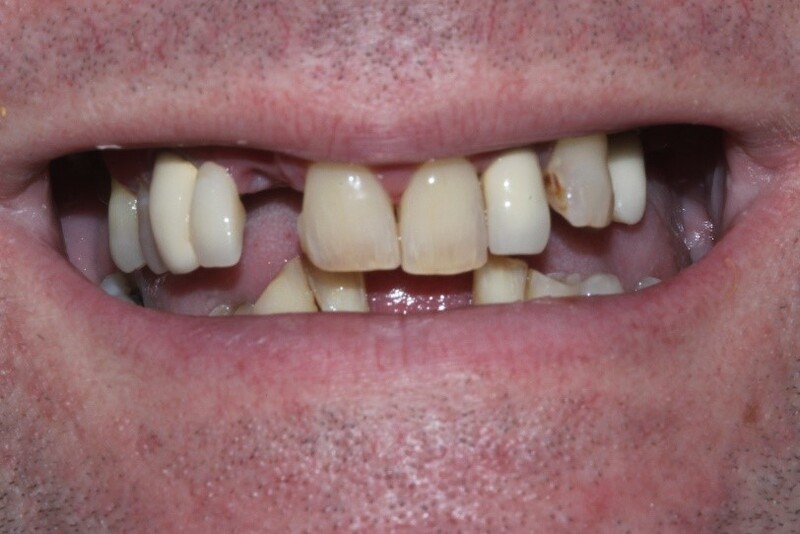 Andrew has discoloured, loose teeth and big gaps where teeth were missing. Andrew just wanted to smile again without feeling embarrassed. He also felt that his teeth were aging him. 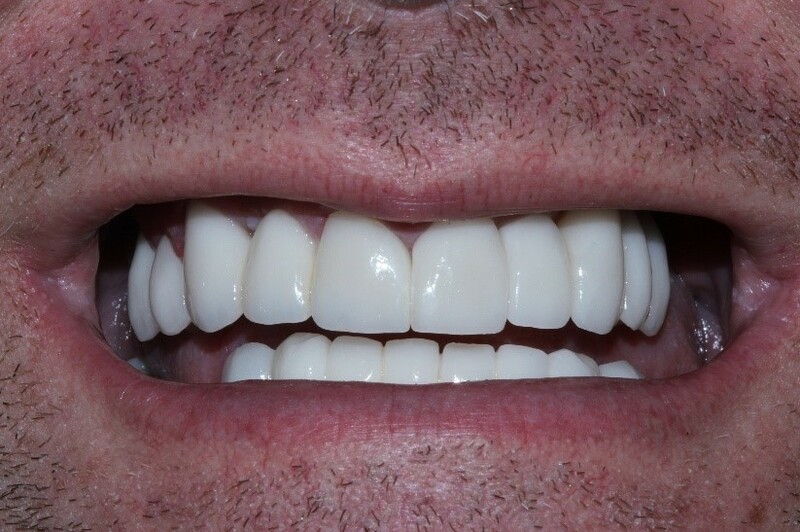 We carried out multiple crowns and bridgework to strengthen his teeth and improve his bite. The difference was amazing. They are stronger and in balance.